For Day 27 of my "Christmas In July" post I wanted to share my latest Christmas theme puzzle which is really great for relaxation and stress management! The theme is a snowy night at a Christmas tree and Father Christmas is tending to kittens and puppies on Christmas Eve!! 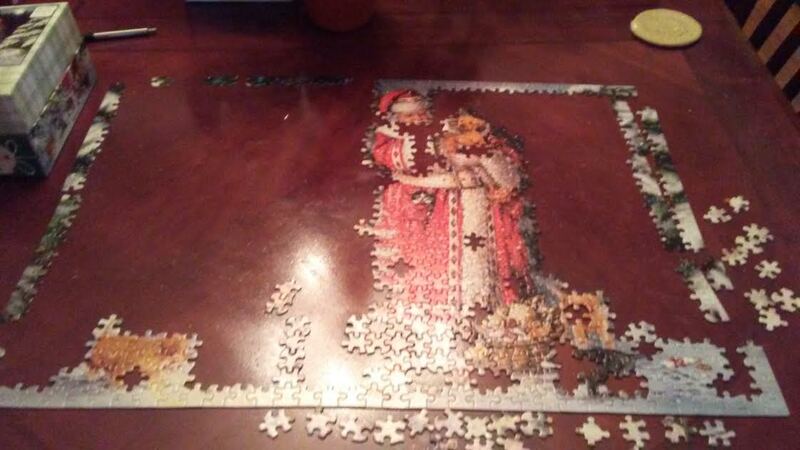 So cute and can't wait to show my finished puzzle!